Located on the coast of West Sweden on an archipelago of 20 islands, the seaside city of Gothenburg is a fishing and trade powerhouse that’s quickly becoming a leader in European art and culture. With quaint cobblestone streets, stunning canals, and dozens of museums and restaurants to enjoy, here are some of our must-try experiences in one of our favorite cities on the planet. Do: Get acquainted with the history and culture of Gothenburg with one of the many tours. 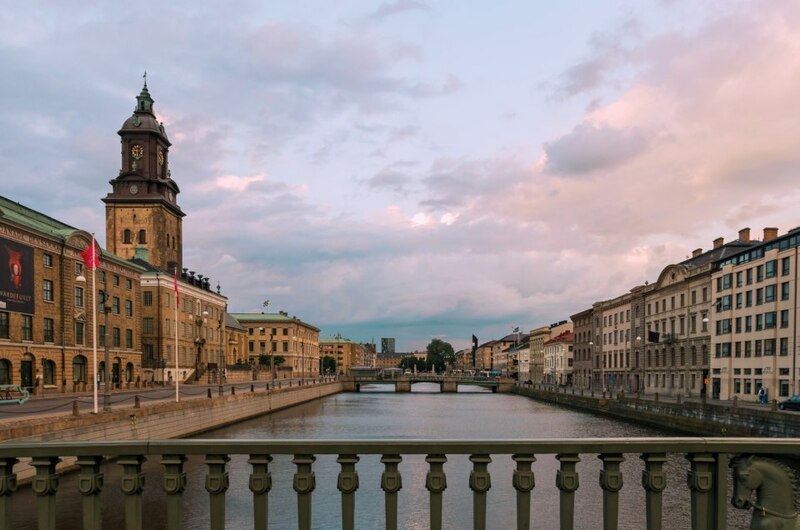 Whether you prefer to take it slow and steady on the canals or fast-paced on one of Liseberg’s rollercoasters, you’re sure to fall in love with what Gothenburg has to offer. 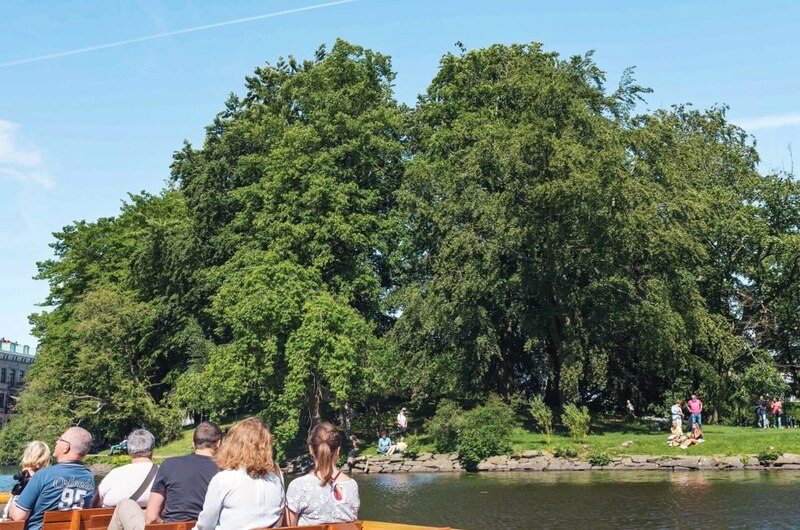 Take a Paddan Boat Tour – Paddan boats are specially designed to go underneath the low bridges along the city’s historic canal system and into the city harbor, offering visitors a unique perspective of the Gothenburg’s main attractions along the way. A 50-minute guided tour will take you under at least 20 different bridges alone, including the famous Osthyveln, or “Cheese Slicer” Bridge, and will pass by sights such as the opera house, old ship yard, and fish market. Those with a Gothenburg City Card can enjoy a free ride until 3pm each day. Experience Liseberg Amusement Park – With more than three million visitors each year, Scandinavia’s largest amusement is a must see. Of the 41 rides and attractions, Loke is the newest to the park. Opened in 2017, it’s the highest gyro swing in Europe, taking thrill seekers more than 137 feet into the air. Prefer to take your adventures on the slower side? Liseberg is also home to a series of gardens and frequently hosts a number of musical acts. A Gothenburg City Card will give you free admittance into the park. Stroll through Old Haga Neighborhood – Originally intended to be Gothenburg’s first suburb by order of Queen Kristina in the mid-1600s, Haga is now one of the most popular historic districts in all of Gothenburg. Conveniently located just a short walk away from the city center, Haga features incredibly well-preserved wooden houses from the 1800s and also serves as one of the best places to enjoy a traditional Swedish fika. A fika is a shopping spree with a coffee break thrown in for good measure, and Haga features dozens of cool cafes and pastry shops that are sure to please. See: Get a taste of the culture of Gothenburg at one of its many museums and visitors centers. With so much to do and see in Gothenburg, it’s safe to say you should always keep the camera at the ready. Gothenburg Botanical Garden – Considered one of the largest and most beautiful gardens in northern Europe, the Gothenburg Botanical Garden (pictured above) is truly a sight to behold in the summer months. You could spend hours wandering in and out of its greenhouses and along its paths. The Gothenburg Botanical Garden is open daily from 9am until sunset. Volvo Cars Visitors Centre – Since 1927, Gothenburg has been home to Volvo. At the Visitors Center, you can take a factory tour, test drive the latest Volvo creations, and get a guided tour of the center for an insider’s look at the company’s future plans. We think it’s a must see, especially if you’re visiting in cooperation with the Volvo Overseas Delivery Program. Gothenburg Museum of Art – The Gothenburg Museum of Art houses the world’s finest turn-of-the-century Nordic and international art pieces. Featured artists include the likes of Albert Edelfelt, Edvard Munch, Anders Zorn, and Carl Larsoon and the entrance hall currently features the Hasselblad Center for Photographic Art. Free entry with a Gothenburg City Card. 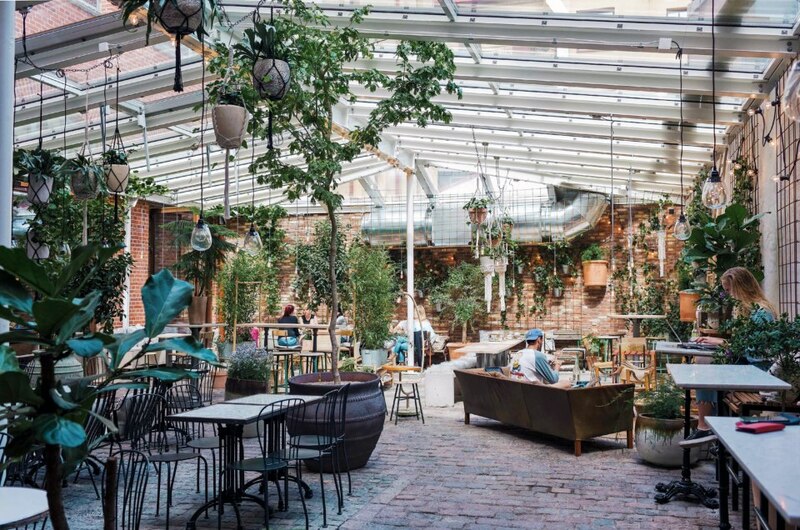 Eat: With world-class seafood, trendy bars, and a legion of experimental chefs, Gothenburg is a city for serious foodies. You’ll come hungry and leave happy. Hagabullen from Café Husaren – The plate-sized cinnamon bun is one of the most famous pastries in Gothenburg. Located at Haga Nygata within the historic Haga Neighborhood, we think you’ll find it’s best served warm and paired with a coffee from one of the local shops as well. Italian from Taverna Averna – It might seem odd that we recommend ordering Italian food in Sweden, but, trust us, Taverna Averna is worth it. This trendy bistro is a must-try for serious foodies and it earns extra points for its location within the artsy neighborhood of Linne. For best results, partake in a three-course meal with a glass (or two) of wine and save the pizza for lunch (you’ll be back). Seafood from Sjömagasinet: Because of its prime location along the coast, Gothenburg has some of the freshest (if not the freshest) seafood in Sweden, and this Michelin-star restaurant is easily one of the most famous seafood restaurants in the entire country. Located directly on the waterfront in Klippan, you can’t go wrong with anything you order here. Ice cream from Rada Gelato – In just under two years, Rada Gelato has garnered praise from locals and visitors alike as the “best ice cream shop in Gothenburg.” Known for its organic ingredients and fun flavor combinations, the ice cream shop’s special — and most popular — flavor is pancakes with bacon and maple syrup. Stay: From chic boutique hotels to historic hotels in the city center, you’ll learn quickly there’s a hotel for every budget and travel style in Gothenburg. 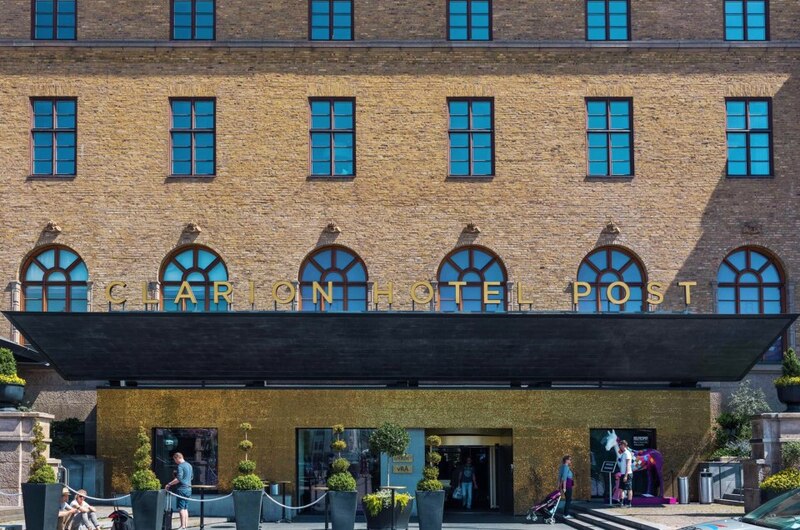 The Clarion Hotel Post – This post office turned modern hotel is perfectly located within the city center directly beside Central Station and opposite The Garden Society of Gothenburg. American drivers who partake in the Volvo Overseas Delivery Program can enjoy a one-night stay at The Clarion.